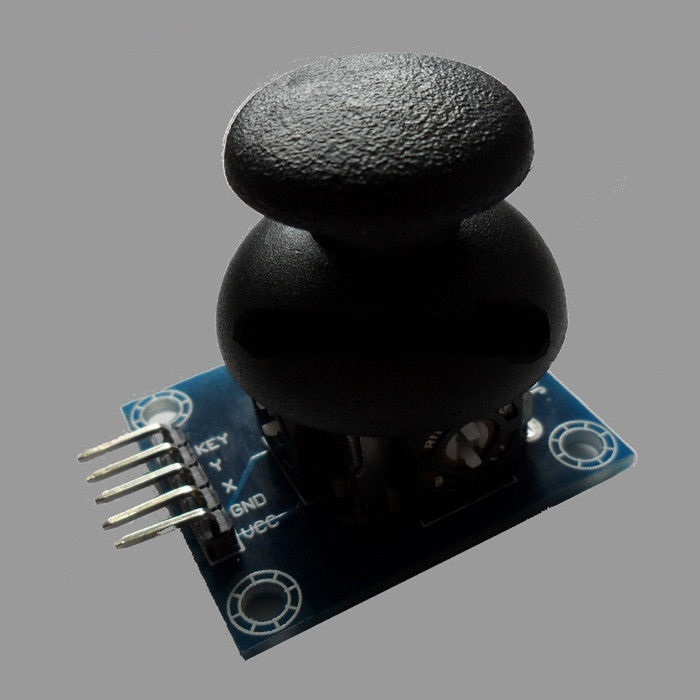 This is game joystick module for Arduino. Lots of robot projects need joystick. This module provides a affordable solution to that. Simply connect to two analog inputs, the robot is at your commands with X,Y control. It also has a switch that is connected to a digital pin. This joystick module can be easily connect to Arduino by normal IO Expansion Shield with supplied cables. It is like a game console joystick, you can control the joystick module input x, y, z of joystick game controller module Joystick Values, and to achieve a particular value in a function, it can be considered a combination of buttons and a potentiometer. Data Type of x, y dimension for the analog input signal is a digital input signal z dimension, therefore,x and y connected to the analog port Pin sensor end, and z port is connected to the digital port. With (X, Y) 2-axis analog output, (Z) 1 digital output channel button. In the design of the X, Y, Z-axis circuit leads individually, you can use three dedicated lines really pin ARDUINO Plug into the expansion board for use, very convenient.